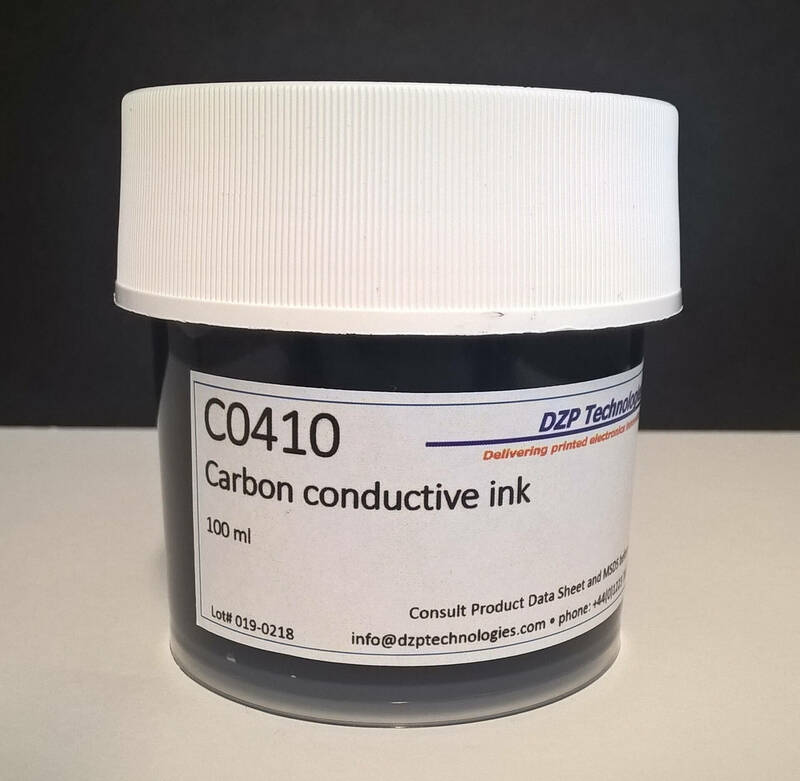 C0410 is our best-selling carbon ink for general purpose use and shelf life >12 months. This is a medium-viscosity aqueous ink formulated with fine carbon particles which makes it ideally suited for high-resolution deposition and printing, providing smooth, high quality and uniform films. The obtained films have excellent mechanical properties, flexibility, and resistance to moisture and humidity. Curing is carried out by heating at any temperature between ambient and 120°C. The ink can be used to produce printed electronic circuitry, strain and capacitive sensors, NFC antennas, electromagnetic shielding coatings, and components for wearable electronics. Conductivity is 100 Ohms/sq when printed on glass at thickness 25 microns. 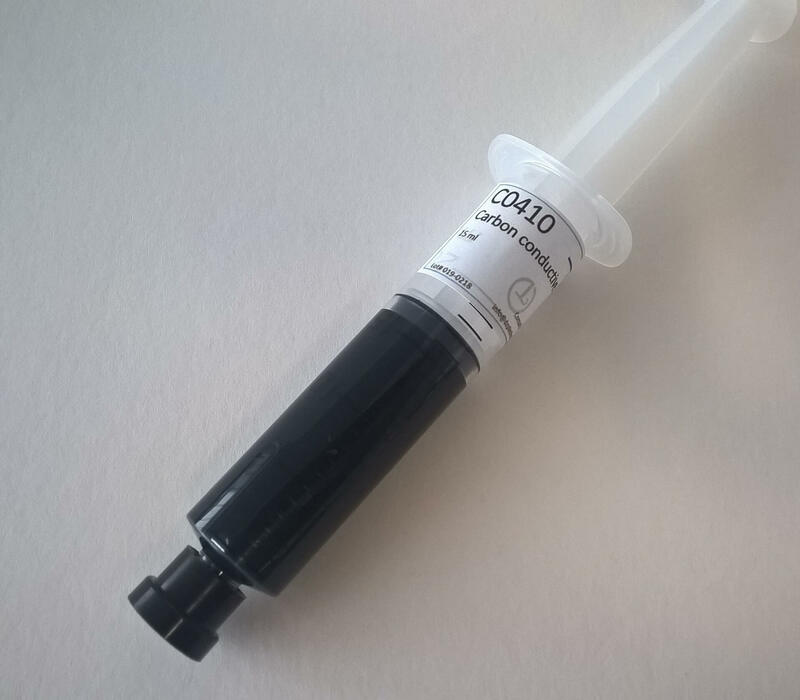 The ink is supplied in syringe package for quantities of 15 ml, and in plastic pots for any quantity from 30 ml to 1 L.
The carbon ink C0410 can be purchased directly from us, or from our distributor Strem Chemicals UK Ltd. Please use the Contact Us form to request a quote. You can also send your inquiry to info@dzptechnologies.com, or call +44(0) 1223 781191.